The Bronx is the northernmost borough in New York City. While typically off the average tourist's path, the Bronx offers plenty to do and see. It is also one of the most diverse areas of New York City, with people of many different ethnicities, religions and backgrounds living there. Subway: Getting to the Bronx from Manhattan is very easy by subway. The 1, 2, 4, 5, 6, B, and D trains all terminate in the Bronx. Train: The Bronx is easily accessible on the Metro-North Railroad. The Hudson, New Haven, and Harlem lines all pass through the borough. The Bronx has a rich history and offers plenty to do, including many great parks and outdoor activities. 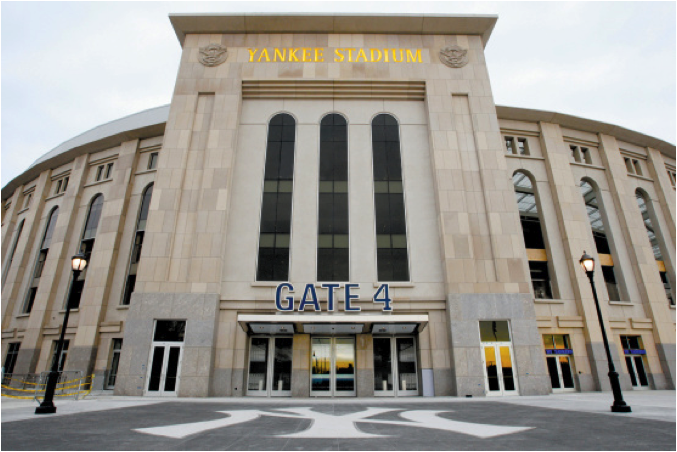 Here are some suggestions for fun activities to do in the Bronx! Bronx Zoo: The Bronx Zoo is one of the largest zoos in the world. Home to over 4,000 animals and 650 different species, it is a destination for New Yorkers and tourists alike. New York Botanical Gardens: One of the best botanical gardens in the U.S., the New York Botanical Gardens sit on 250 acres of land along the Bronx River. There are 50 different gardens to explore. 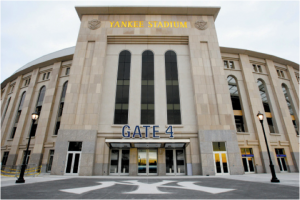 Yankees Stadium: Home of the world famous New York Yankees. Catch a game or visit for a tour of the stadium. A must-see for baseball enthusiasts. Tours are offered in English and Spanish. Wave Hill Public Garden: This little-known attraction is situated in the Bronx along the Hudson River. It is a 28-acre public garden and cultural center with a mission to "celebrate the artistry and legacy of its gardens and landscapes, to preserve its magnificent views, and to explore human connections to the natural world through programs in horticulture, education and the arts." Pelham Bay Park: Not just the termination point of the 5 train, Pelham Bay is the largest park in New York City. It is three times the size of Central Park! There are tons of fields, bike paths, playgrounds and even two golf courses. Arthur Avenue: Forget the one in Manhattan; this is the real Little Italy. Arthur Avenue is the best place to go for authentic Italian fare in New York. The Edgar Allen Poe Cottage: Did you know the Edgar Allen Poe spent the last years of his life in the Bronx from 1846-1849? The small farmhouse he lived in has been restored to its original form for visitors to see. The Bronx Museum: Founded in 1971, the Bronx Museum is the flagship cultural institution for the borough. With a wide range of contemporary art exhibitions, admission is always free. City Island Historical Society and Nautical Museum: This museum is devoted to the rich nautical history of City Island, a small island off the coast of Pelham Bay Park. Admission is free with suggested donation. Van Cortland Park: This is the 4th largest park in New York City. It is home to the country's first public golf course, the oldest house in the Bronx, and the area's largest freshwater lake. Unlike Brooklyn and Manhattan, the Bronx's culinary scene is still developing. However, the number of renowned restaurants has been growing over the years. In 2012, Zagat published a record 33 Bronx restaurants in 2013 Zagat survey. There are even more eateries rated by previous diners on Zagat's website. Click here for a list of rated Bronx restaurants in Zagat.